Having only chartered as part of Rotary International in March 2018, we are still on the journey of finding what works for busy people in our new way of operating; making sure all those involved can learn more about Rotary International’s fantastic network and what project streams we can develop that light up people’s passions and does good in the community. It is an exciting journey, with lots of exciting people joining us to give it a go and, although it is ruffling a few feathers on the way, innovation is about change and moving forward. Try it out and see what does work or not for you. So it was very exciting at our 2nd Saturday in the month Face2Face Meet Up in August, that we inducted Rotarian Charlene, our first new member of the Rotary Year 2018, who is both excited and proud to join Rotary. She is going to help us develop our new RSI East Hampshire Flexible Rotary and with her energy, enthusiasm and personal experience we believe this will be underway from September 2018. Our Face2Face Meet Up in RSI South Wiltshire saw members of the group during one day showing a Rotarian guest from Down Under, sites of Salisbury where other tourists don’t get to see and culminating with a visit to the Australian War Graves in Durrington. The evening meeting heard more about Australian Rotary over good old Fish & Chips and decided on future plans, including an Indian Meal Evening, a Stonehenge Run and ensuring we build our Dementia Friends awareness. Your help required for Portsmouth Together to find out about the good things happening in the neighbourhoods of Portsmouth as part of Social Action. What do we mean by social action? Social action is about people coming together to help improve their lives and solve the problems that are important in their communities. It can include volunteering, giving money, community action or simple neighbourly acts. We often get asked what’s wrong in our communities, but this engagement exercise focusses much more on what’s good in our neighbourhoods and how we can build on that to make positive changes. This really is about, “building on what is strong, not trying to put right what is wrong”. You can find out more about the Portsmouth Placed Based Social Action Programme at the Portsmouth Together Website www.volunteer.portsmouth.gov.uk. Please take the survey today ‘How can we together?’ survey 2018 and forward this blog by email to friends, family and work colleagues who live in Portsmouth. It is great to be helping to build awareness of the Minstead Trust, working as both a charity for people with learning difficulties and some great Social Enterprises involving their clients. See all the news on our eCampaign page. 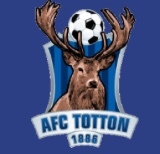 All at the All Weather surface at AFC Totton. Come along or invite others. Monday to Saturday 7.00-11.00 Full English; sandwiches; baguettes and omelettes all products from the local community. Building on our successful Unpacking Social Enterprise Event held in March 2018, we continue to work in partnership with Action Hampshire and the School for Social Entrepreneurs, to build awareness of Social Enterprise and help encourage Buy Social in our communities. We are so excited to take this work forward in Britain & Ireland, working within a pilot programme with other Rotary Districts. Social Enterprises Resources Hub lots of prospective entrepreneurs are looking for help in how to get started, we want to build this up into a place where they can make contact and find help. Building a Virtual Market Place we want to help Social Enterprises develop a Market Place where people can find out what’s on offer and where. Further streams are to include: Hidden Disabilities, starting with a campaign to build awareness of ME from people living with this illness; Creative Arts Innovation, building on our successful Theatre Innovation we want to broaden it out to develop work that helps members build innovative programmes e.g. hidden disabilities awareness raising; Mathematics and Music; Building Diverse, Equal and Inclusive communities; Collaborating in Eco, in particular issues of Plastic Pollution, Food Waste, Air Quality and much more. We are in the process of developing a campaign to find Restaurants, Cafes and Pubs who cater for people living with dementia, so carers and relations know where they can take their loved ones, with the knowledge that they will be welcomed. Dementia Friendly Communities remain a key part of our programme based on the Social Model of Disability. See 900 sculptures set in a lovely wooded area with three lakes and some lovely trails to walk around. Enjoy either a picnic or the delights of the local pub situated opposite the trail. Adults £10, Children & Seniors £5 (pushchairs possible, but not recommended). For more information about all our activities please visit our website and if you are interested in connecting with us please visit Connect.